Sa Tamang Panahon: Maine Mendoza a.k.a. Yaya D.U.B. Who would forget the controversy that went with her Francis Libiran gown that she wore during the Philippine Arena event last October 24th, 2015? >.< Nonetheless, I think she looked fabulous in her gown. Her overall look sure fit the Cinderella-inspired theme of the main event. In addition, I loved this short, red dress she wore during her opening dance production. 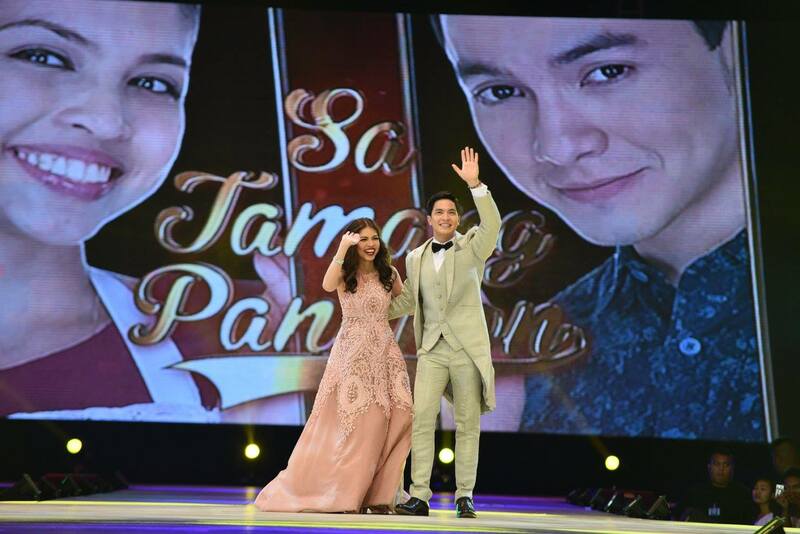 In case you missed watching the said "Sa Tamang Panahon" event, it's on Eat Bulaga's YouTube Channel. (Click here.) It was a totally enjoyable show, definitely one for the books! >.< I'm definitely an ALDUB & Kalyeserye fan! I hope one day I'll get to meet Maine Mendoza in person... up close & personal... & get that chance to have a photo opp with her.